Is it snowing in Serre Chevalier ?Thank you! The snow forecast for Serre Chevalier is: Moderate rain (total 10.0mm) on Wed morning. Becoming colder with heavy fall of snow, heaviest during Fri morning. Freeze-thaw conditions (max 3°C on Thu afternoon, min -3°C on Fri night). Wind will be generally light. Serre Chevalier Weather (Next 3 days): The snow forecast for Serre Chevalier is: Moderate rain (total 10.0mm) on Wed morning. Becoming colder with heavy fall of snow, heaviest during Fri morning. Freeze-thaw conditions (max 3°C on Thu afternoon, min -3°C on Fri night). Wind will be generally light. 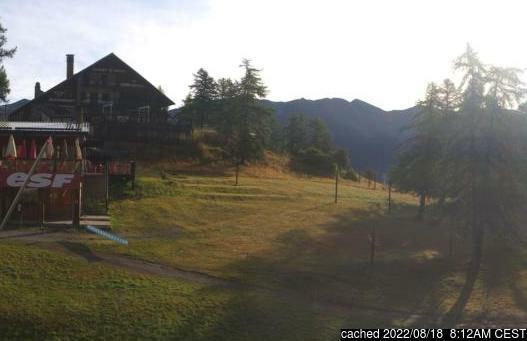 Serre Chevalier Weather (Days 4-6): A light covering of new snow on Sun morning turning to drizzle on Mon afternoon. Freeze-thaw conditions (max 2°C on Mon morning, min -4°C on Sat night). Wind will be generally light. A light covering of new snow on Sun morning turning to drizzle on Mon afternoon. Freeze-thaw conditions (max 2°C on Mon morning, min -4°C on Sat night). Wind will be generally light. Moderate rain (total 10.0mm) on Wed morning. Becoming colder with heavy fall of snow, heaviest during Fri morning. Freeze-thaw conditions (max 3°C on Thu afternoon, min -3°C on Fri night). Wind will be generally light. The above table gives the weather forecast for Serre Chevalier at the specific elevation of 2000 m. Our sophisticated weather models allow us to provide snow forecasts for the top, middle and bottom ski stations of Serre Chevalier. To access the weather forecasts for the other elevations, use the tab navigation above the table. For a wider view of the weather, check out the Weather Map of France. in or near La Salle Les Alpes? Serre Chevalier is a gem kept secret from the rest of the Alps. Having never heard of the area before my arrival I was dubious and unsure what it would have to offer. However, my qualms were short lived. Although the village I stayed in (Villeneuve) was small and quiet, it was quaint and had everything that I would want throughout my stay, even an old town full of character that transports you to 17th century French living. There are 4 main towns that make up Serre Chevalier all with something to offer. Villeneuve (where I stayed), Monetier Les Bain, with a wonderful outdoor thermal spa perfect for a change of pace, Chantemerle with more of an evening atmosphere and Briancon, the highest town in Europe which boasts another wonderful old town, which towers over the modern town in the hills of Serre Chevalier. All 4 places connect by a free (with a lift pass) and frequent bus service. You can also catch a bus to Montgeneve, a better known ski resort which is also worth a visit! The skiing in Serre Che is perfect for intermediate skiers who like to challenge themselves but also have the option to take easier scenic routes down. It is through the trees and is a beautiful setting to enjoy and be in. The Serre Chevalier skiing weather widget below is available to embed on external websites free of charge. 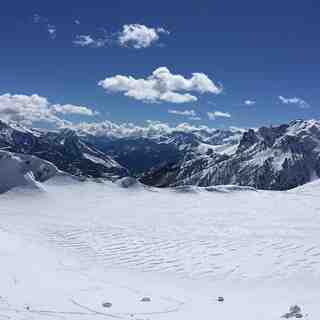 It provides a daily summary of our Serre Chevalier snow forecast and current weather conditions. Simply go to the feed configuration page and follow the 3 simple steps to grab the custom html code snippet and paste it into your own site. You can choose the snow forecast elevation (summit, mid-mountain or bottom lift) and metric/imperial units for the snow forecast feed to suit your own website…. Click here to get the code.